In the lush, tropical world of Martinique where slavery is a distant memory and voodoo holds sway, Emilie Dujon discovers that her fiancé, a rich sugar planter, has been unfaithful. Desperate to leave him, she elicits the aid of a voodoo witch doctor and is lured into a shadowy world of black magic and extortion. When the volcano known as Mount Pelée begins to rumble and spew ash, she joins a scientific committee sent to investigate the crater. During the journey she meets Lt. Denis Rémy, an army officer with a mysterious past. At the summit, the explorers discover that a second crater has formed and the volcano appears to be on the verge of eruption. But when they try to warn the governor, he orders them to bury the evidence for fear of upsetting the upcoming election. 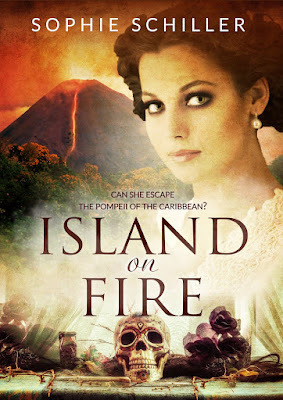 As the pressure builds, a deadly mudslide inundates Emilie’s plantation and she disappears. With ash and cinders raining down, chaos ensues. Left with no choice, Lt. Rémy deserts his post and sets off on a desperate quest to rescue Emilie. But with all roads blocked, can they escape the doomed city of St. Pierre before it’s too late? Click here to visit the tour and read reviews. Author Cassidy Salem has penned a clever whodunit with a twist I never saw coming. I quickly grew to bond with several of the characters. Adina and her policeman boyfriend, Jonathan, were adorable. the main characters and I did. in the story was a fun addition and a great character also! Speckles ends up putting her 'digging' skills to good work and helps with the sleuthing. one so much you'll want to read all the others. I am looking forward to reading many more in this series. Read reviews, interviews and guest posts. Click here. fanning herself and turning the pages. it is easy to step in and pick up the stories. The characters are well developed and a flawless written story makes each one a page turner. I have enjoyed each of the stories that I've read. My review(s) will appear on retail sites and Good Reads. When you’re not writing what might we find you doing? Spending time with my wife Christine. She is a very talented artist and our lives, our separate endeavors dovetail perfectly. Also I read a lot, maintain the landscaping that surrounds our house, enjoy watching plays and films. I have learned a lot from dramatics, especially how to and how not to write dialogue. I think it would be fun to try and write a play. A lot of my fiction is nearly solid dialogue. Do you have any pets? We have two cats. They are kept indoors as there are a lot of predators here - hawks, coyotes, rattlers, etc. If you could go anywhere in the world to write where would you go? I have lived in lots of different places and the only thing I require is calm and silence. However, I do fanaticize about living in an old villa in Tuscany or Umbria. As I sit and write interview questions and reviews I am usually sipping a Dr. Pepper. Do you have a certain drink you’re sipping while you’re working? I drink dark roast coffee while I write – black, no sugar. How many books have you written? Do you have a favorite? I have written seven books – six novels and one volume of collected short stories with novel extracts. I have a special fondness for the three volumes that comprise the trilogy titled, Love Beneath the Mighty Dome; I think because of the fairness it took on, regarding the Catholic Clergy. I started it in anger but in the course of writing over ten years, it became a writing project, not a gotcha project. When the clergy are bad they are very bad, but when they’re good they’re very, very good. Also I am pleased with the way On The Fault has turned out, (a novel about Vietnam-era troops, from the battlefield to their return home). It was a lot of fun to write as it has a tempo and rawness I learned from the songs of Frank Zappa. 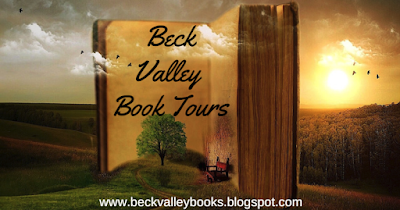 Have you toured any of your previous books? If so what is your favorite part of the tour? I have toured Love Beneath the Mighty Dome. I have always been fascinated listening to the different angles and interpretations readers place on my stories. When I first saw that I thought, Hey, wait a minute. That ain’t what I meant. But then it dawned on me, when someone reads your fictional work, you’ve run it through a different intellectual filter. Does that make sense? I knew I was on to something as a craftsman – like them or not, my stories are well enough written so as to seem alive however they are interpreted. As writers we paint moving pictures (flickers) on the human mind. 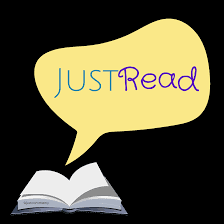 Let's talk about On the Fault and the genre where it is categorized. Can you tell us what a Fictionalized biography is? By fictionalized biography I only meant that On The Fault is an “episodic novel” – a string of anecdotes taken from my life and those of others I knew during the period of our nation’s bloody involvement in Viet Nam. But those real people are only a starting point to get it going. The fictional characters quickly begin to diverge sharply from the flesh and blood models, in terms of their own personal stories, their own personal “plots”. The same is true for the episodes and anecdotes – I have strung the small memories of mine together like lights on a wire or like a lot of garments pinned to a clothes line, in order to render a specific time in our nation’s history so as to reveal the various “colors” or meanings of that tangled web we refer to as the Vietnam War. On The Fault is not my own personal, over all story, per-se. It is a way to try and re-create the overall plot and meaning of the Vietnam War – an episode in this nation’s history that sent us spinning off in a direction the Founders would be horrified and saddened to witness. OTF is an effort to shed my lights upon this war to reveal the absurdity of it. The cruelty of it, the madness. Joe Hearns unwittingly honors the life and death of the man, the veteran, who, while in uniform, murdered his wife, Claudia. That is what I feel about the Vietnam War. It was wrong and nothing can make it otherwise. A lot of vets can’t handle the thought that we murdered something of our selves there; and when they insist that it was all something heroic, I say, stop and think again. Vietnam vets are stuck with the dilemma that, while their own personal behavior there might have been worthy of praise, the Vietnam War itself was unjust – a un-necessary thing built of lies and resulted in the needless slaughter of millions of Vietnamese people on their own soil. What do you want people to gain from reading your book? My hope is that readers would take away how it feels to be injected into an illegal war, a war triggered by lies fabricated by our own government; an unpopular war, a meat-grinder of a war and what that can do to the human heart once you kill someone in such a situation, especially if you knew from the start of your tour of duty that it was wrong, unjust. The Vietnamese are a brave and sweet people, most of whom, at this time – the 1950s to the 1970s – were simple bean farmers and rice farmers who found themselves trapped and forced to choose between invading forces – first the French then the Americans – and their own local patriots – the Viet Minh, later the Viet Cong and the North Vietnamese regulars. Who would you side with – the invaders or your own neighbors? Do you have a favorite scene from the book? There are two – Joe Hearns, in the dark of night, embedded in the starless, moonless depths of a jungle, praying for forgiveness from his recently deceased friend, Hagardy. The second scene is set at Letterman Army Medical Center when Hearns bites his orthopedic surgeon on the shoulder. What is/was one of the most surprising things you learned while writing On the Fault? I’ve never thought of such a question. Perhaps the horror of killing without a just cause and how that can send the mind spinning off the “rails” even when you’re not fully aware that it is there inside of you. I like a good long book. I see that On the Fault is over 400 pages. Can you describe its style? Is it fast paced? Or a sink your teeth in and enjoy the story? I have been told that it is a book the reader can’t put down. It is not designed to read like news copy. I purposely created it with rich sentence structure to slow a reader down so as to make the described events imminent, tactile, tangible, touchable. enter the Giveaway click here. is what I look for in a romance. The happily ever after. I loved the locale/setting. A great place to run away and start over. The characters were hard to describe. in all areas than Ben. If you like romance check this one out. Disorderly Conduct is in a cozy mystery class all by itself and I highly recommend it. I found Disorderly Conduct to be nicely written and to have a quick pace. The emotions that I felt while reading this book were very strong . . . I would highly recommend this book to anyone who enjoys a well crafted cozy mystery. What I most enjoyed were the characters – unique, human, and realistic responses of the teens to the initial tragedy, as well as the dangers they encounter on the trail. I really enjoyed this book and as always Maggie is one of those characters that you just come to love. The ending is quite explosive and really intense. I loved learning about the swat team and other law enforcement agencies involved. I didn’t expect how in depth the mystery went. I was so engrossed in it, I didn’t want it to end. Great character development, a well thought out mystery, and family theme that really warms the heart. Great for fans of the genre. It has all the components that I love in a book…great characters, a great storyline, and my favorite, a dog!!!! Maggie remained true to her character as in previous books – a mother hen with fantastic organizational skills that is able to ferret out the true criminal. I have been enamored with this series from the very first chapter of Address to Die For and each book in this series has only gotten better and better. In Disorderly Conduct this held true and to me has been the best in the series, yet! #4 in the series might just be the best. You'll just have to check it out. If your a fan of Cozy's you'll really like this series. To me it is a little different than other series and it is a pleasing change. and raising her son with her husband. does a little or a lot of sleuthing and investigating when murders just keep happening in the quiet little suburban town! Each book includes organizing and home management tips. A little different and refreshing in my opinion. Maggie includes tips on emergency preparedness and how to get your family and pets to safety and what you need to get ready and how to prepare your property. This element is a fun change and adds to the story. son of the victim who is her husband Max's best friend. flawlessly which in my opinion isn't always the case some authors seem to struggle with developing and introducing characters. And then there are the dogs that are a part of the story. or helping the characters solve the mystery. My review will appear on Net Galley, Good Reads and retail sites. I knew it. I just knew I would Love it. And I was not disappointed. Rock Legend was just what I expected and so much more than I even thought to expect. 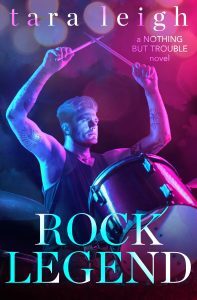 I expected so much because I had already read Rock King my review is here. As part of a series I was delighted to see the other characters brought back. Don't think you have to read Rock King. 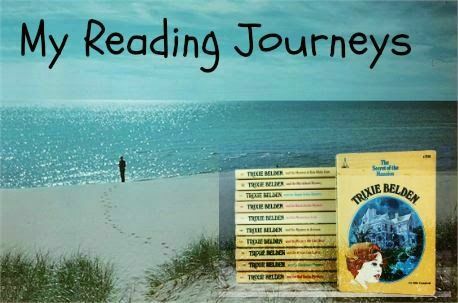 Each of the books in the series are written as a stand alone. It was nice to see some of the other characters from the previous book and if my guesses are correct we'll see at least a little more in book 3 about Dex another member of the band. Rock Legend was a bit of a surprise for me. Since I had already met the characters I think I had a few expectations. I have to admit Tara Leigh met them and gave me much more by giving us some great well developed characters. Albeit Landon has some Alot of issues deep down he is a great guy. Once he sorts things out he becomes the man he is meant to be. Having had a troubled childhood and then getting into a good foster family as a teenager things start getting good until a tragedy strikes causing Landon to run from the home. All goes well as he becomes a member of the band and he is off to stardom and all that goes with. But Landon is troubled by his past and makes some decisions that play into the grief and confusion he tries to ignore. Then Piper happens into his life again. As Piper tries to ignore the sparks and sizzle Landon tries to fan the flames and persuade Piper to take a chance on him. Through some twists and turns and the two finally get together in the end. 'Granny get a fan and a glass of wine and enjoy the read'. Rock Legend is a great read. I loved this story and look forward to the next one in the series. My review will appear on retail sites, Net Galley and Good Reads. Read an excerpt. Read reviews at the tour. I’ve come a long way since inheriting my Aunt Elizabeth’s Tarpon Cove house and her beach cottages full of quirky residents. I strap a Glock to my thigh as easily as I slip into flip-flops. Even Fab is going legit… mostly. When she’s hired to investigate some high-end boat thefts in Biscayne Bay, I go along to do what I do best. Chat up the help to get the real story. Neither of us expected the case to explode—literally—and take out one of Miami’s richest men. And possibly a mistress, though no one’s found her body floating among the bits and pieces. Somewhere in the Miami upper-crust’s phony smiles and even phonier alibis there’s someone who wanted to see Marshall Sacks dead. Someone willing to ruin Fab’s and my lives to keep their secret. It’ll take calling in every favor I’m owed to keep us out of trouble. one is #14 the characters drew me and won't let go! This is a great series to start. Don't worry if you can't start at book 1. Check this one out and then back track it's worth it. There are a lot of sub characters in the story since Madison is the owner of a Cottage/Apartment Building she inherited from her aunt. The residents are quirky and funny. And then there are short term renters that add more quirkiness and cause trouble. cases that have lots of crazy and sometime strange characters. death of a wealthy local. Madison as her assistant helps dig up the truth. Along with Madison and Fab their boyfriends decide they have to help to keep the girls out of trouble and keep them safe. Jobs come if for Fab almost daily even while they are on one case another pops up. This time an elderly man living near them has lost his dog. Sadly as soon as they start investigating the find a dognapping ring located in the area. They waste no time shutting it down. Madison and Fab are all about helping out the down trodden and making things right when the can. Among the colorful characters are Madisons family. Her mom, step father, her brother Brad and a younger brother Liam. They are always into some kind of trouble as well and keep Madison on her toes. The Paradise Cove is a great Cozy Series with some thrill and suspense and lots and lots of humor. A great clean read. No language and no bedroom scenes. Deborah Brown in just two books has become a favorite. I can't wait to read the next one! I have to add the cover doesn't in my opinion give anything away about the book or story line. I am a cover junkie. This cover didn't do anything for me and based on it I probably would have passed it up. Except that I would have notice the title and author and checked it out. to investigate. There isn't anything about girls on the beach except for the occasional afternoon off for Madison and her boyfriend Creole. Would a blowing up boat been a better cover? 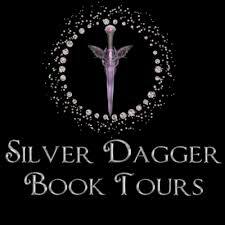 To find an excerpt and visit more reviews or enter Giveaway stop over at the tour. Click here.